Please mark your calendar for our wine events at Michael's Wine Cellar this November! Open House Wine Tasting Saturday, November 5, 2-4 p.m. $10 per person Click here to register online in advance, or simply join us at the door. Robert Kacher Selections Wine Dinner Hosted by Bobby Kacher Saturday, November 5, 7 p.m. $95 per person, plus tax and gratuity Reservations required. Click here to register now. Space is limited for this popular annual wine dinner hosted by Bobby Kacher himself! It’s (almost!) the most wonderful – and sparkling – time of the year already! 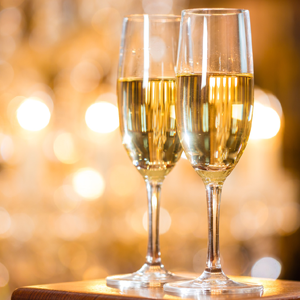 Michael is pleased to announce our annual Holiday Champagne Tasting! From 6 to 8 p.m. on Wednesday, December 14, 2016, put a little effervescence into your holiday cheer as you taste more than 20 fabulous Champagnes and sparkling wines from around the world. $75 per person Each ticket will receive a $25.00 retail voucher for purchases of $50.00 or more. 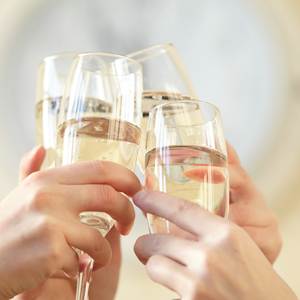 Vouchers are only accepted that evening for items being showcased at the Sparkling and Champagne Tasting. Prepare to stock up for all your holiday gatherings and New Year’s Eve celebrations. Click here to make reservations now. Space is limited and advanced reservations are required. Our Co-Proprietor Michael Klauber is a passionate man. He's passionate about wine, passionate about food, passionate about the Sarasota community, passionate about hospitality and passionate about traveling the world to discover and bring back the latest and greatest products and cuisine from around the globe to residents and visitors in Sarasota. This summer, Michael and his wife Terri discovered a special line of spirits while traveling in Maine: Barr Hill Gins and Vodka from Caledonia Spirits craft distillery. The Klaubers were introduced to these spirits by a mixologist at the Camden Harbor Inn. In fact, these exclusive product have just become available in the state of Florida – with Michael helping to make it happen so that his guests in the Restaurant and Wine Cellar will be able to enjoy these fine spirits! 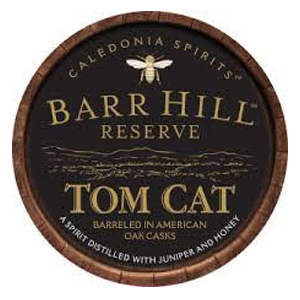 Reserve Tom Cat Barr Hill Gin Barr Hill Gin Barr Hill Vodka Or stop in the Michael’s On East Lounge or Dining Room soon to try a Bee’s Knees cocktail. Purchase wines from these partner wineries and provide great beginnings to last a lifetime for families in our community! Purchase wines in support of Forty Carrots Family Center from these partner wineries and Michael’s Wine Cellar will donate 20% of your purchase to Forty Carrots Family Center until thru November 17 and 10% until November 20, 2016. 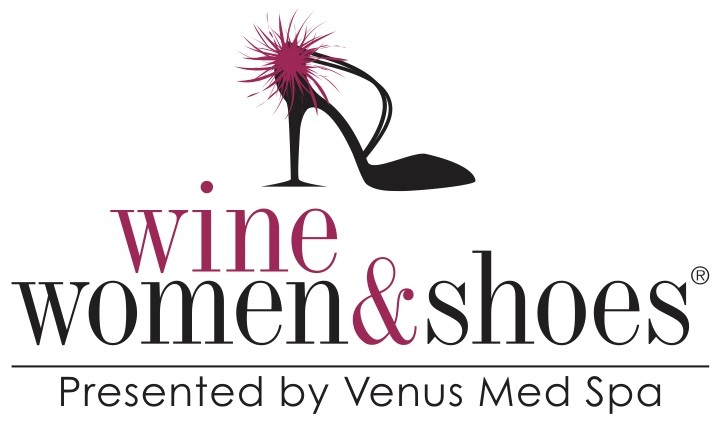 It's time for Wine, Women & Shoes! 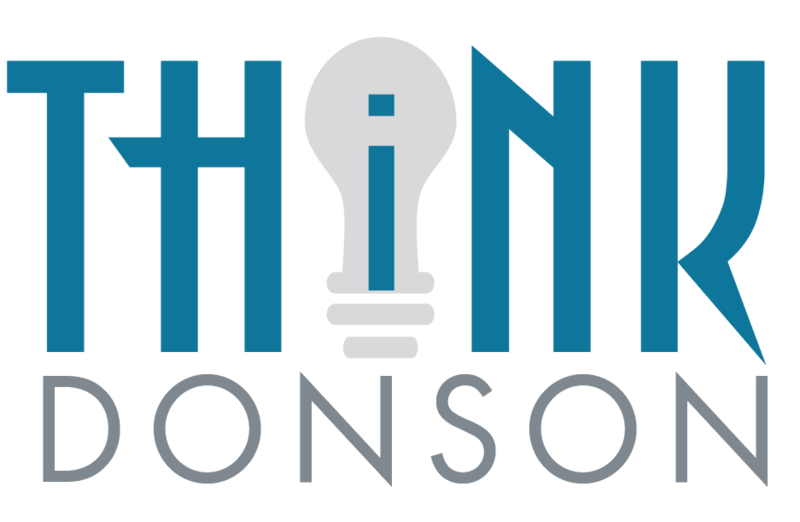 Forty Carrots provides high quality, award-winning parenting education, child & family therapy and early childhood education to families in Sarasota & Manatee counties at 27 community partner locations. With your wine purchase, Forty Carrots will continue to help families create emotionally and physically safe environments that foster healthy minds, compassionate hearts and responsible behavior. We invite you to visit fortycarrots.org to learn more. Wine, Women & Shoes Retail Tasting at Michael's Wine Cellar If you'd like to sample these fine wines before purchasing them, we invite you to join us for the Wine, Women & Shoes Retail Wine Tasting at Michael's Wine Cellar, 2-4 p.m. on Saturday, November 19, 2016. Admission is $10 person. 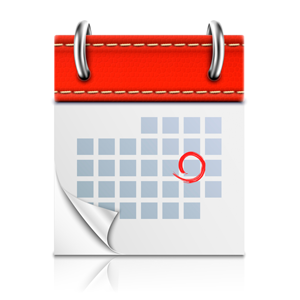 Click here to register online in advance, or simply join us at the door! If you wish to purchase wine in support of a Soleman, please include his name in the comments section at check out. Please mark your calendar now and start registering for these popular wine tastings and wine dinners at Michael's Wine Cellar! 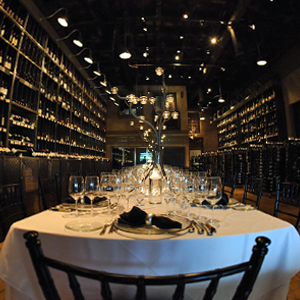 WINE DINNERS Newton Vineyard Wine Dinner Hosted by Michael Ray Saturday, October 1, 2016 7 p.m. at Michael’s Wine Cellar $95 per person, plus tax and gratuity Click here for online reservations. Domaine Vincent Girardin Burgundy Wine Dinner Hosted by Marco Caschera Friday, October 7, 2016 7 p.m. at Michael’s Wine Cellar $95 per person, plus tax and gratuity Click here for online reservations. Robert Kacher Selections Wine Dinner Hosted by the one and only Bobby Kacher! Saturday, November 5, 2016 7 p.m. at Michael’s Wine Cellar $95 per person, plus tax and gratuity Online reservations will open soon. OPEN HOUSE WINE TASTINGS Join us for these monthly, casual, walk-about wine tastings to taste dozens of international boutique wines. Saturday, October 1, 2-4 p.m. Saturday, November 5, 2-4 p.m. Saturday, November 19, 2-4 p.m. (This year's "Wine, Women & Shoes" Retail Tasting where you'll have an opportunity to meet many visiting winemakers!) Admission is $10 per person for each of the Open House Wine Tastings listed above. Saturday, December 10, 2-4 p.m. Tis the season! Please simply donate a unwrapped toy as admission! There is no admission fee to attend this "Holiday" Open House Wine Tasting & Toy Drive. All guests must donate an unwrapped toy for the Salvation Army's Angel Tree Program as admission in December. 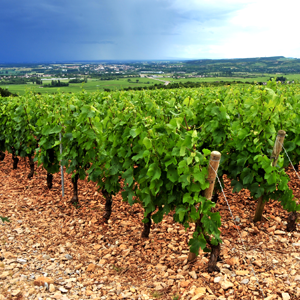 Please join us for a Burgundy Wine Dinner! Domaine Vincent Girardin Burgundy Wine Dinner Hosted by Marco Caschera Friday, October 7, 2016 7 p.m. at Michael's Wine Cellar $95 per person, plus tax and gratuity Click here for online reservations. Vincent Girardin was born in Santenay, in the Côte de Beaune and is part of a winemaking family whose origins date to the 17th century (11th generation). Now in his forties, Vincent began in 1982 with only 2 hectares (5 acres) of vines. When his father retired, Vincent took over several additional hectares to which he could devote himself. Vincent Girardin is a man of conviction. He knows what he wants. He has grasped his professionally with both hands. Vincent’s roots are deep in the most prestigious terrors of Burgundy. He knows every vine, every parcel of land. He also ensures that the very highest quality is maintained by following each wine’s development every step of the way, at all times respecting the most important element of Burgundy – the individuality of its terroirs. It is this very personal touch that conjures up the richness, harmony and elegance that make Vincent Girardin’s wines so sought-after. Vincent Girardin’s wife Veronique, has worked alongside Vincent at the Domaine since 1994. Today, the Domaine represents 20 hectares. Vincent Girardin’s Winemaking Philosophy: We use the most modern winemaking equipment. During the winemaking period, we try to be as careful as we can with the grapes in order to have the best possible terroir extraction.The alcoholic fermentation is slow with natural yeasts, which are on the grape berries. The ageing is long, on ne lees in French oak. We follow the lunar calendar for the bottling. The white wines nd their essence in their nesse, an extreme aromatic purity, at a focal point between acidity and richness. The red wines are fruity and elegant, with supple tannins. A successful vintage requires a strict and daily monitoring for each wine. Because each bottle represents a different hillside and a different exposure, the winemaker’s decisions are paramount. We kick-off the month of October with two wine events in the Wine Cellar. 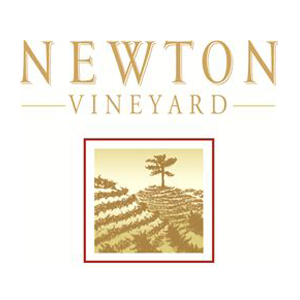 Click here to view the featured wines and make reservations for our Newton Vineyards Wine Dinner set for 7 p.m.on Saturday, October 1. $95 per person, plus tax and gratuity If you are simply looking for a casual, walk-about tasting, please join us for Michael's October Open House Wine Tasting from 2-4 p.m. on Saturday, October 1. Admission is $10 per person. Cheers! Each month, the culinary team at Michael's On East is challenged to design a unique menu inspired by the world's most exotic food (and wine!) destination as our wine specialists at Michael's Wine Cellar work hard to select perfect wine pairings for the featured menus. This October, Michael's culinary team at Michael's On East looks forward to celebrating the rich flavors of Italy and its classic Italian wines. 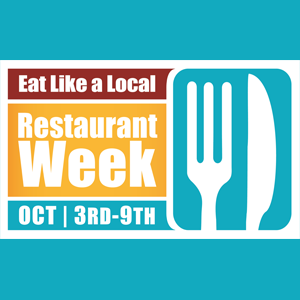 In fact, October will will be a perfect time to "Dine to the Nines" at dozens of local, independent restaurants throughout Sarasota and Manatee Counties as part of "Eat Like a Local Restaurant Week, October 3-9, 2016. (Michael's On East is closed on Sundays including Sunday, October 9.) As you enjoy Michael's special Italian menu as part of Eat Like a Local Restaurant Week, we invite you to sip these hand-picked wine pairings designed to complement the two-course lunch ($19) and three-course dinner ($29) menus. WINE PAIRINGS Featured for $5 Each in October at Michael's On East Trebbiano "San Benedetto", Zenato, Lugana, IT Brilliant gold in color, Sergio Zenato Riserva Lugana offers an intense yet elegant floral bouquet. Beautifully layered on the palate, this wine tantalizes the senses with notes of stone fruit, vanilla and white flowers. Nero D’Avola, Stemmari, Sicily, IT Deep ruby-red with pleasant reflections of violet, this wine's bouquet is intense and covered, with notes of currant stick out, wild strawberries, and pomegranate. Soft and velvety, distinct characteristics of fruitiness come forth. 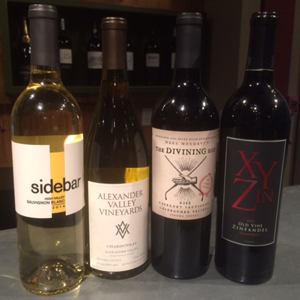 Suzanne Watters of Kind Wines will be hosting a special Iron Horse Vineyards Wine Dinner at 6:30 p.m. on Friday, September 23 at Michael's Wine Cellar. Chef Jamil and Chef Catherine have just completed the finishing touches on their five-course dinner, perfectly paired with the featured wines from Iron Horse Vineyards! Iron Horse Vineyards Wine Dinner September 23rd 2016 PASSED HORS D'OEUVRES Ahi Tuna Poke Mini Tacos Shallots, Sesame Seeds, Soy Sauce, Avocado & Jicama Slaw Served in Crispy Wonton Shells Fennel-Spiced Duck Breast with Onion Jam & Sweet Potatoes Allumettes Fresh Mission Figs Truffle Goat Cheese, Panzanella Crumbs & Pomegranate Gastrique Sparkling “Ocean Reserve, Iron Horse Vineyards, Sonoma County FIRST COURSE Butter-Poached Maine Lobster Light Clam Curry Sauce, Crispy Oysters, Roasted Garlic Scented Swiss-Chard & Micro Cilantro Classic Vintage Brut, Iron Horse, Green Valley Sparkling "Wedding Cuvee", Iron Horse Vineyards, Sonoma County SECOND COURSE Pan-Seared Halibut Mediterranean Fava Bean Stew, Toasted Baby Artichokes & Basil Pistou Chardonnay "UnOaked", Iron Horse Vineyards, Russian River Valley Chardonnay “Estate”, Iron Horse Vineyards, Sonoma County THIRD COURSE Fennel-Crusted Veal Tenderloin Baby Wild Mushrooms, Calvados Demi Reduction, Caramelized Pearl Onions & Chimichurri-Crispy Fingerling Potatoes Pinot Noir "Estate", Laetitia Pinot Noir “Estate”, Iron Horse Vineyards, Sonoma County DESSERT Riesling-Poached Bartlett Pear Baked in a French Almond Cake, Honey Chèvre Ice Cream & Blackberry Coulis Sparkling “Russian Cuvee”, Iron Horse Vineyards, Sonoma County $95 per person, plus tax and gratuity Our recent wine dinner events have sold out quickly, so be sure to secure your tickets today by clicking here. We continue inviting you to "sip and shop" each Saturday afternoon through September at Michael's Wine Cellar. Since we are offering a Napa Valley Epicurean Adventure feature in the Restaurant this month, our team in the Wine Cellar thought we should carry through the California theme! Saturday, September 3, 2016 Sauvignon Blanc, Emmolo Winery, Napa Valley, CA, 2014 - $18.95 Chardonnay, Hess Collection, Napa Valley, CA, 2013 - $14.95 Pinot Noir, Bread & Butter, CA, 2014 - $12.95 Merlot “Estate”, Alexander Valley Vineyards, CA, 2013 - $18.95 Saturday, September 17, 2016 Sauvignon Blanc, Uppercut, North Coast, CA, 2015 - $11.95 Chardonnay “Four Bears”, Sean Minor, Central Coast, CA, 2014 - $12.95 Cabernet Sauvignon, Martin Ray, Sonoma County, CA, 2012 - $16.95 Zinfandel "Sin Zin", Alexander Valley Vineyards, CA, 2012 - $18.95 Saturday, September 24, 2016 Sauvignon Blanc “Sidebar High Valley”, Ramey, Lake County, CA, 2014 - $19.95 Chardonnay “Estate”, Alexander Valley Vineyards, CA, 2014 - $16.95 Cabernet Sauvignon, The Divining Rod, CA, 2012 - $14.95 Zinfandel “Old Vine”, XYZin, CA, 2013 - $14.95 Of course, on Saturday, September 10, we invite you to join us for the Wine Cellar's monthly Open House Wine Tasting. 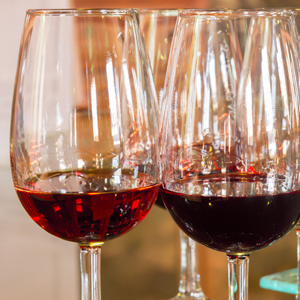 Admission is $10 per person for this casual, walk-about tasting featuring 50+ international wines. Click here for directions to Michael's Wine Cellar. Regular store hours are 10 a.m. – 6 p.m., Monday – Saturday. For the convenience of shopping 24 hours a day online, simply click here to shop our web store. We continue our monthly series of special tasting events in the Wine Cellar into the fall with a Riesling "Class" at 6:30 p.m. on Tuesday, September 13. Featured Wines: Riesling-Dry "Selenium Vineyard", Pacific Rim, Yakima Valley, WA, 2013 Riesling, Trimbach, Alsace, FR, 2012 Riesling "Lenz", Fred Loimer, Kamptal, AT, 2012 Riesling "Scharzhofberger Spatlese", Bischofliche Weinguter, DE, 2012 Riesling “H”, Dr. Hermann, Mosel, DE, 2013 Riesling Kabinett “Estate Bottled”, Thomas Schmitt, DE, 2014 Admission is $25 per person. Reservations are required as space is limited. Click here for reservations. Our team at Michael's Wine Cellar is thrilled to present you a special offer from the Antinori family! Castello della Sala ‘Conte della Vipera’ 2013 $24.95 A perfect blend of Sauvignon Blanc and Semillon! Refreshing and vibrant, this wine with high acidity and no malolactic fermentation is perfect for our warm Florida summer days. Click here to purchase online. (Note: This wine is expected to be available by mid-August.) Robert Parker's The Wine Advocate: 90 Points The 2013 Conte della Vipera is another delicious wine from the Antinori family (owners of Castello della Sala). This blended white shows very nicely in this vintage with stone fruit, white almond, yellow rose and fresh summer peach. In the mouth, the wine delivers medium texture, creamy consistency and a long finish. Conte della Vipera never skips a beat. It should hold for the next five years. Interesting Facts from Our Friends at Castello della Sala This "Conte della Vipera" wine is named after the first owners of Castello della Sala. The wine label depicts the chapel of St. John, built in the XV century and located in the territory of the Castello della Sala. The first issue of the wine took place in 1997. 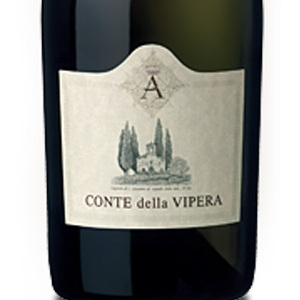 "Conte della Vipera" is made from Sauvignon Blanc with a little Semillon grown in vineyards, which are located at an altitude of 250 to 350 meters above sea level, on the basis of the rich deposits of marine fossils with infiltration of clay minerals. This terroir allows the harvest of Sauvignon Blanc with a good sugar concentration and the maximum expression of the varietal aroma and flavor with hints of minerals and fruits. The 2013 season was marked by frequent and abundant rainfall during all phases of vegetation and subsequent warm weather without the excessive heat. Unlike previous years, the maturation of the grapes was gradual and ended a little later than usual. The Sauvignon Blanc was harvested during the first ten days of September, while the Semillon was removed from the vines in late September, two weeks later than usual. Harvested grapes showed excellent health, fine acidity and excellent varietal flavor. Immediately after hand-picking the grapes has been sent to the winery, where it is cooled by means of a conveyor with cold water. This process is important to preserve aromas of grapes. After soft pressing musts was again cooled at 10 ° C for natural decantation. Fermentation tanks of stainless steel was held at a controlled temperature not exceeding 16 ° C. Then the wine is stored at low temperature (10 ° C) to prevent the malolactic fermentation and preserving the greatest extent possible varietal character grapes. Pinotage: South Africa's Grape Varietal As explained by our friends at Wine Access, Pinotage is a recent addition to the wine world, having been created in South Africa in 1925, by Stellenbosch University Professor A.I Perold. Perold crossed the Pinot Noir and Cinsaut grapes with the aim of acquiring the best qualities of both parents: classic Pinot Noir flavors with a bountiful crop from sturdy, disease resistant vines. Pinotage is a versatile and food-friendly wine. If you haven't had the opportunity to explore food pairings at one of our specialty South African wine dinners and menus at Michael's On East, we suggest pairing Pinotage with robust Mediterranean dishes, Cape Malay-spiced lamb chops, blackened fish, charcuterie, or even foods with plenty of spice such as curry dishes.Michael's Wine Cellar's own Robin Schwartz first came across Pinotage while living in New Zealand years ago. 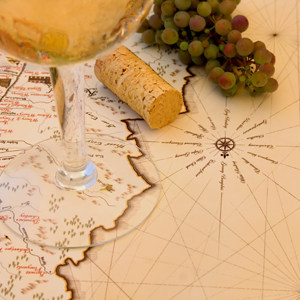 (Kiwis love their South African wines when not drinking wines from their native country!) Robin participated in a full-day wine trip while she was vacationing in South Africa, stopping by and loving the wines from Fairview Vineyards. In fact, she bought a few bottles of the Fairview Vineyards Pinotage to take home with back then. Luckily for Robin, today we carry the wines from Fairview Vineyards in the store at Michael's Wine Cellar, which are also available for purchase online. We hope you'll stop in the retail shop or try ordering a bottle of the Fairview Vineyards Pinotage from our online wine shop today. Interestingly, the Lanzerac Wine Estate is known as the home to the first bottled Pinotage. Steeped in a history dating back to 1692, the Lanzerac Wine Estate is situated at the foot of the majestic Jonkershoek Valley of Stellenbosch in South Africa. If you are ready to try South Africa's original grape varietal IN South Africa, please join us in the summer of 2017 for the Gulf Coast Connoisseur Club's "A Taste of Africa" trip escorted by Michael and Terri Klauber of Michael's On East and Ryan Hilton of Admiral Travel International.) The Lanzerac Wine Estate is just one of numerous winery experiences available during this exclusive food and wine-focused and luxury safari journey. Each month, the culinary team at Michael's On East is challenged to design a unique menu inspired by the world's most exotic food (and wine!) destination as our wine specialists at Michael's Wine Cellar work hard to select perfect wine pairings for the featured menus. The following wines will be featured in the Restaurant this August, hand-selected to be paired with Chef Jamil and Chef Catherine's Indonesian Epicurean Adventure. Viognier/Chenin Blanc/Grenache Blanc, The Wolftrap, ZA, 2012 Complex flavors of fruit blossom, dried fruit and spice. Rich creamy texture with some minerality and elegant oak nuances. Balanced natural acidity with concentrated flavors that lingers on the palate. Pinot Noir "Light Horse", Jamieson Ranch Vineyards, CA, 2013 This deep garnet Pinot Noir showcases ripe cherry, strawberry and raspberry aromatics that commingle with anise, cinnamon and a hint of white pepper. Sumptuous red berry flavors blossom on the palate, while supple acidity and silken tannins contribute to the wine’s innate elegance. 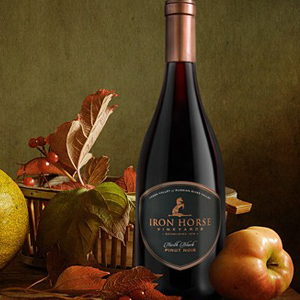 The presence of Mourvedre gives this wine its strong character, balance and complexity. An intense fruit and floral nose make this an attractive rosé.The palate is rounded and full with fruity aromas of peach and pomegranate, followed by delicate spice notes and a pleasant freshness created by acidic balance and complexity. 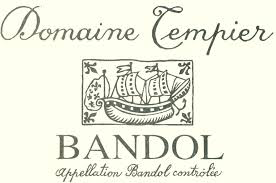 Domain Tempier Bandol Rose Located in the heart of the Bandol terrior, Domaine Tempier was already in existence during the reign of Louis XV (1715-74). The house was built in 1834 and the estate gained recognition in 1885 when it won its first gold medal. The architect of this rebirth in the wake of the phylloxera epidemic that had devastated France's vineyards was Leonie Tempier, who replanted the vines on rootstocks and in 1880 had a barrel cellar and cement fermentation tanks built. The grapes used for this rosé come from selected parcels where the vines are on average 20 years old.